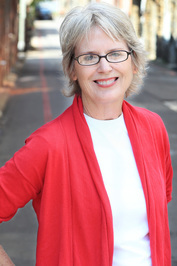 Barbara O'Connor's awards include the Parents Choice Gold and Silver Award, American Library Association Notable Books, IRA Notable Books for a Global Society, School Library Journal Best Books, and Kirkus Best Books. Her books have been nominated for children's choice awards in 38 states and voted as a state favorite by children in South Carolina, Indiana, Kansas, and South Dakota. She currently lives in Asheville, NC. Her latest book is Wish, a middle grade novel published by FSG. We’d love your help. Let us know what’s wrong with this preview of Sparrow Road by Sheila O'Connor. We’d love your help. Let us know what’s wrong with this preview of Shine by Lauren Myracle. We’d love your help. Let us know what’s wrong with this preview of The Mailbox by Audrey Shafer. We’d love your help. Let us know what’s wrong with this preview of Horton Halfpott; or, The Fiendish Mystery of Smugwick Manor; or, The Loosening of M’Lady Luggertuck’s Corset by Tom Angleberger. We’d love your help. Let us know what’s wrong with this preview of My Brother's Shadow by Monika Schröder. We’d love your help. Let us know what’s wrong with this preview of Dead End in Norvelt by Jack Gantos. What book do you feel should win the Newbery Medal?